Strange Days Books is an independent publisher founded in 2013. We are based in Greece and publish books both in Greek and English. For the past 5 years, in collaboration with Eyelands Literary Magazine, we have also been releasing all the anthologies of the winning stories of Eyelands International short story contest. Our vision is to create a true shelter for emerging and established writers, the exact opposite to a vanity press, never asking for any publishing fees and offering fair contracts to authors (scroll down to see a contract example). The only criterion we follow to decide what to publish is whether we believe a book is significant and worth reading, according to our own – well – subjective taste, but only according to this. For the past 5 years we have created a growing community of writers and readers through book launches, participation in festivals and book fairs, writing workshops, writing competitions, performances and all sorts of events about literature, books, reading and writing. In our Strange Days in Greece and Strange Days in the World section, we have published more than 20 books by Greek writers, but we have also translated books by a few non-Greek writers into English, thus introducing their work to Greek readers for the first time. 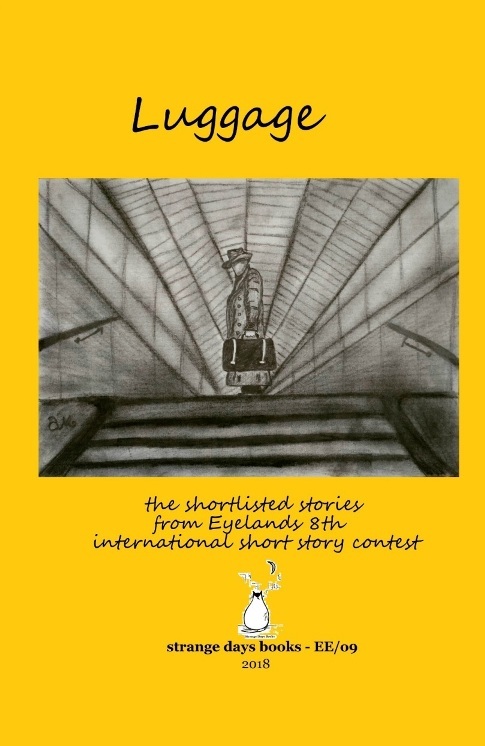 In our Strange Days in English section, we have published 4 anthologies of the winning stories of Eyelands International Short Story Contest, two novels and a quirky travel guide to the Greek islands. 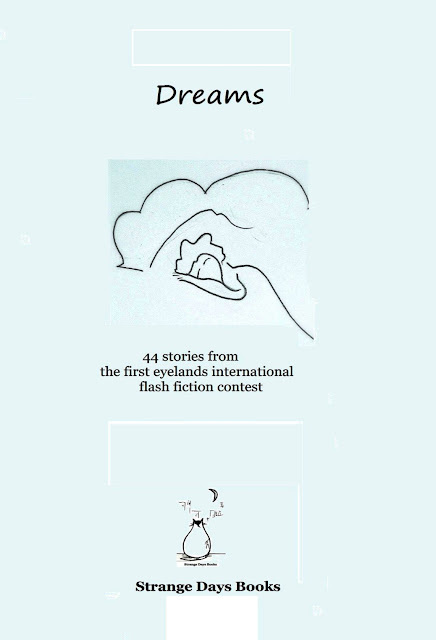 Upcoming publications include the anthology of the extremely popular 1st International Flash Fiction Contest by Eyelands as well as the grand prize-winner of the unpublished books section of Eyelands Book Awards. For the past 4 years we have been co-organizing, Sand Festival, the only literature festival on the Greek islands, where every summer an open group of writers, poets, musicians, performers, photographers, artists of all sorts get together to create a DIY festival on the beach of a Greek island, with poetry and fiction readings, storytelling, writing workshops, exhibitions, concerts and theatre performances. See below for all the books we have published in English so far. Prisoner of Love is a novel including the romance of mass market love stories and the suspense of crime fiction paperback novels. But at the same time: love for books and the adventure of every author going through a writer’s block. It combines two stories; the romantic adventure of the innocent Marcella and the thriller of a desperate Greek fortune-hunter who is forced to write a book, under the instructions of his lover, the famous writer Magdalena Love. The story of Marcella begins as a romantic pursuit of the perfect mate then becomes a chic lit and ends up becoming an adventure with international gangs of illicit dealers in antiquities. Also, it passes through historical writing while you will also find a slight touch of magic. The story of the Greek fortune hunter acquires an emotional tone as well when, he initially falls in love with his female character, Marcella, and later on, with a woman that looks very much like her. However, he ends up being a prisoner of the Dionysiac and ruthless Magdalena Love as well as Freddo, her brutal bodyguard. The story is not lacking in certain features of the social crisis Greece has been going through, as its main part takes place one summer on various Greek islands. The indisputable strength of this novel is that «one voice» of the narrator, in its stunning amalgamation of lucidity and obsessiveness, blunt honesty and self-conscious performativity, sensitivity and cruelty, insight and blindness, wide-ranging curiosity and referentiality and self-absorption. This is a “sentimental” guide for travellers, through 52 of the Greek islands. This book has simply been written out of an outrageous love for the islands, to describe what it feels like to actually “live the island” – even for a week – and to find out what it’s like, from how it looks to how it can be characterized in terms of its deeper essence. I liken this process to getting to know a friend, or perhaps even falling in love.